LPG is a promising franchise option. Spotting the potential in retailing liquefied petroleum gas (LPG) is what Nelson Par, head of PR Gaz Franchising Corp., is known for. 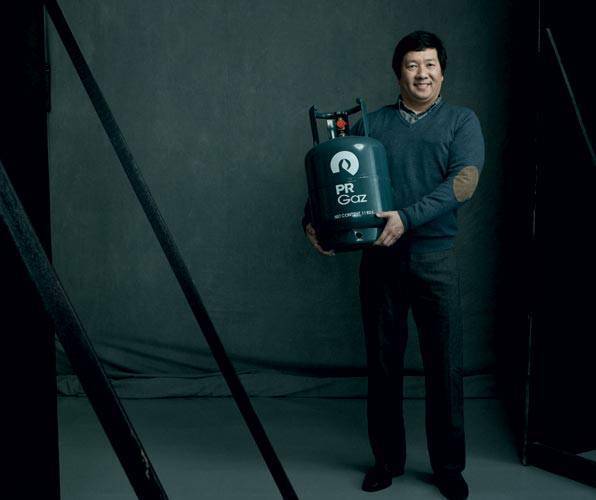 Par, together with wife Siu Ping, has been supplying equipment to major LPG refilling plants as early as 2001. Seeing how the big fuel retailers were distributing LPG products at their service stations, Par realized that LPG retail could be carried out in a far more efficient manner. Not long after, the couple decided to invest in LPG products retailed through a convenience store setup, giving birth to the business model of PR Gaz Haus. Consequently, the Pars’ own LPG signature brand adopted the name PR Gaz. In 2004, they streamlined the operations of the business and started offering the PR Gaz franchise program to entrepreneurs. “Other companies have tried but failed to pattern their business models after ours, which has been tried and tested. I am confident to say that we are the only LPG distributor and franchisor that will last long in the energy industry as we offer our clients and partners the whole package,” says Par. A turnkey franchise renewable every five years, a PR Gaz Hauz outlet costs around P1.2 million. Franchisees will be assisted in the store construction and signage, initial inventory and staff training. A custom-made store management manual, retail software and tricycles for delivery will also be provided. To date, the company has served more than 170,000 households in Cavite, Laguna, Pangasinan, Tarlac, La Union, Bulacan, Zambales and Pampanga, and has established 100 stores in the same areas. Par reveals that the company aims to open 300 outlets by 2013 and 500 stores by 2015. Such plans for expansion mean greater saturation of the existing regions covered, while penetrating adjacent and outlying areas. Dominating the greater parts of Metro Manila, meanwhile, remains a challenge for the company. The goal to open this many outlets in the next three to five years may seem daunting, but Par believes that the “necessity” and “constant demand” for energy products will make it all possible to achieve. This is where the importance of branding comes in, he says. Par asserts that product knowledge is just as important as brand recall, and he expects his franchisees to be as devoted towards this vision. To maintain the company’s standards, PR Gaz Franchising Corp. sponsors annual franchise conferences that serve as refresher courses, providing franchisees with team-building activities, leadership talks and entrepreneurial seminars. Part of the company’s customer service procedures are free pre-sales stove cleaning and check-up services, 24-hour help hotline, and product and services updates coursed through telephone calls and text messaging. PR Gaz Franchising Corp. has also recently launched its customer loyalty program in the form of a Suki ni Gazman card. True to its priorities, PR Gaz as a customer-focused business is well on its way to expanding its network, without having to sacrifice margins and market sales.